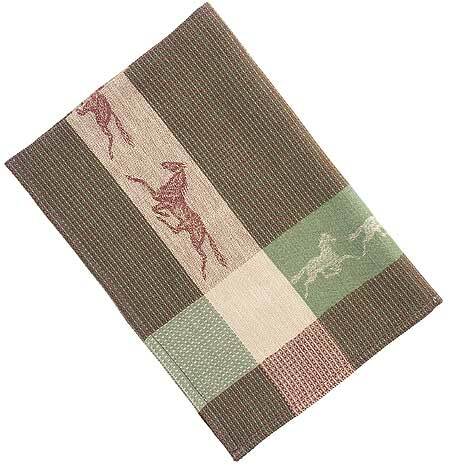 Rich colors of olive, burgundy and beige are woven together in a classic running horse pattern. The pattern is complete on both sides of the towel, allowing it to look beautiful folded in any direction or even crumpled up on the table! Here is a rider award that can be appreciated by EVERYone. Made with 100% cotton for great absorption.